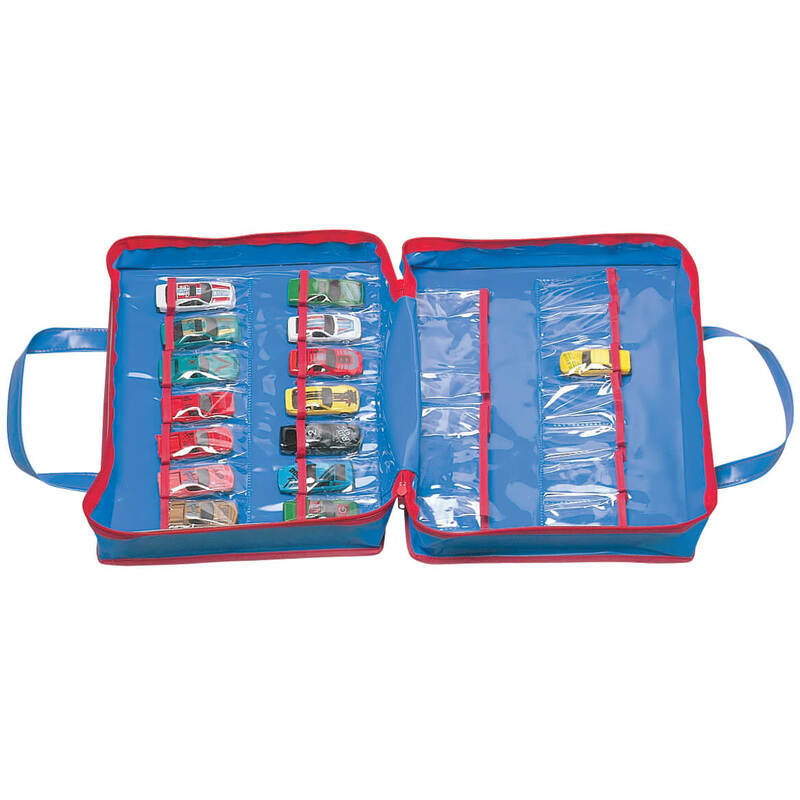 Designed to carry your little ones’ favorite toy cars from room to room and home to playdate, this sturdy toy car carrying case is vinyl (14″x15″) and holds up to 23 cars. 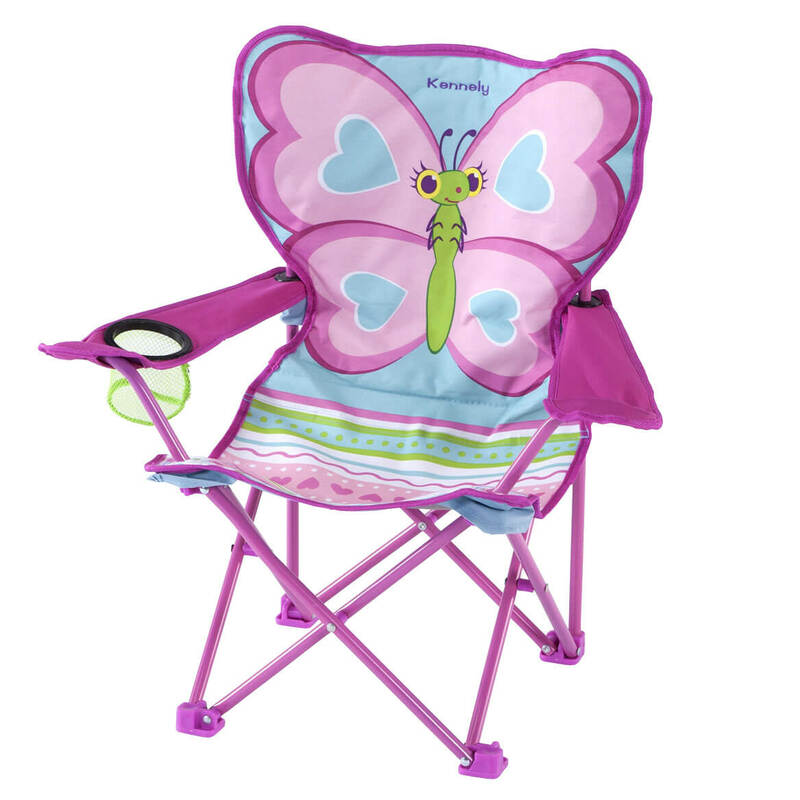 Your child will be “sitting pretty” with Cutie Pie in this delightful Melissa & Doug® Personalized Cutie Pie Butterfly Camping Chair with its brightly colored fabric and sturdy metal frame. It also has a handy cup holder positioned at your child’s fingertips! 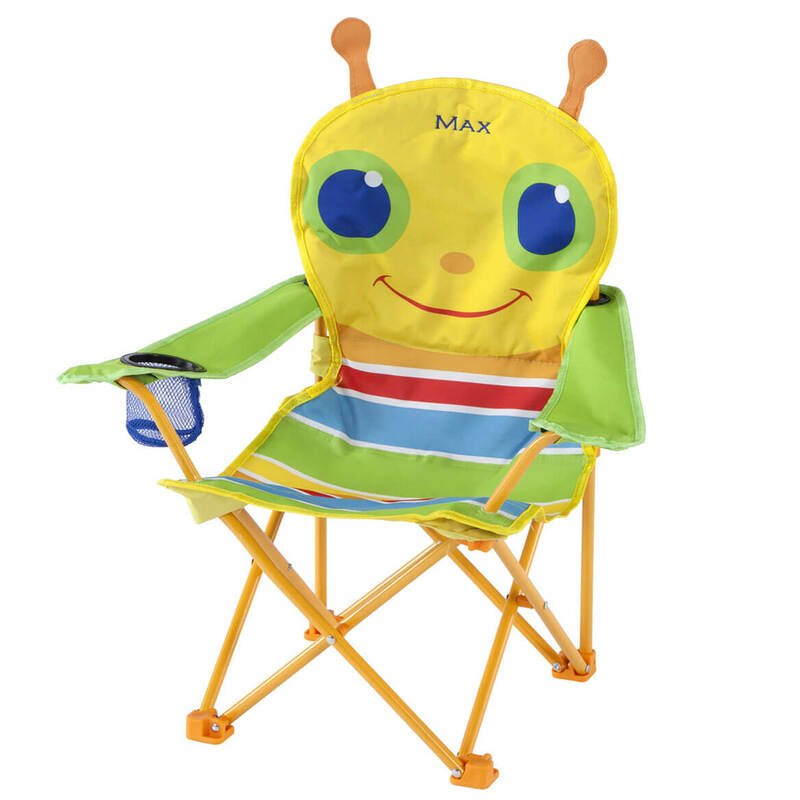 Durable and water resistant fabric and a convenient storage bag make this portable chair perfect for trips to the beach, the park, the campground, or anywhere your child’s imagination may lead! Express shipping not available. Please allow 2-3 weeks for delivery. Bold stripes and Giddy Buggy’s big blue eyes provide an inviting seat when your busy child needs to take a break. This delightful Melissa & Doug® Personalized Giddy Buggy Chair with sturdy metal frame also has a handy cup holder positioned at your child’s fingertips! Durable and water resistant fabric and a convenient storage bag make this kid’s camping chair perfect for trips to the beach, the park, the campground, or anywhere your child’s imagination may lead! Express shipping not available. Please allow 2-3 weeks for delivery. Turn any room into a Sunny Patch adventure zone with this easy-to-set-up Melissa & Doug® Personalized Giddy Buggy Tent. 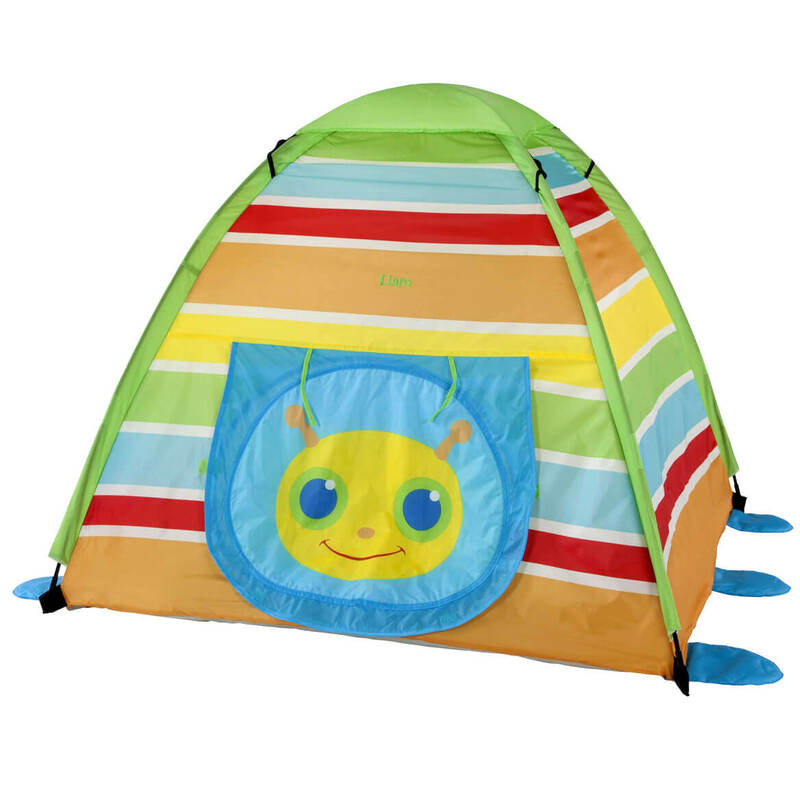 Giddy Buggy’s smiling face on the flap of the nearly five-foot-tall tent invites kids to enter alone or with friends and enjoy hours of imaginative play. Quality materials and durable construction make this kid’s tent a fun and cozy play space that’s built to last. Express shipping not available. Please allow 2-3 weeks for delivery. Turn any room into a Sunny Patch adventure zone with this easy-to-set-up Melissa & Doug® Personalized Trixie Tent. 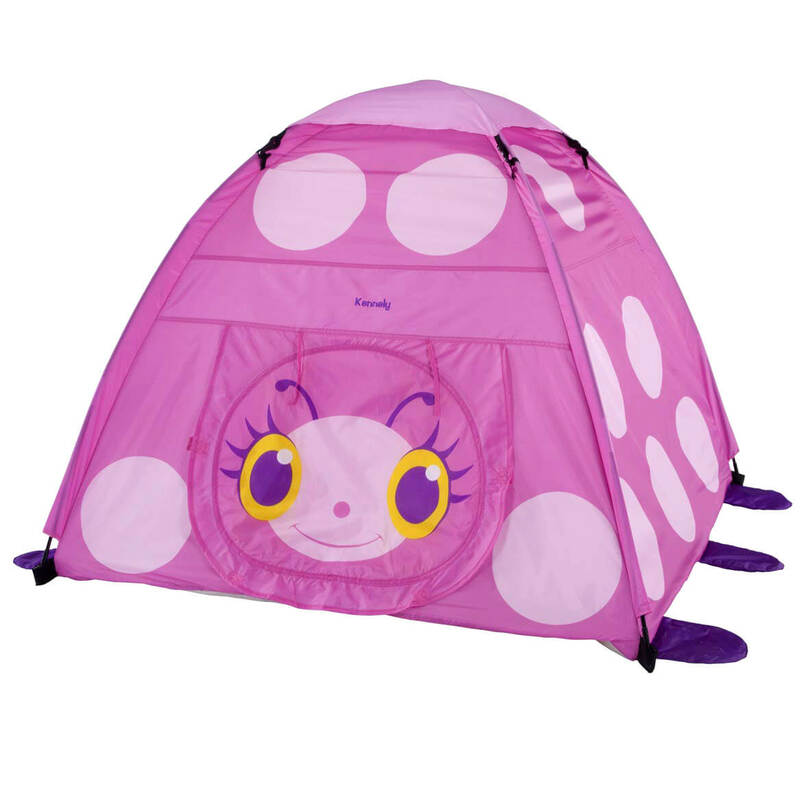 Trixie’s smiling face on the flap of the nearly five-foot-tall kid’s tent invites kids to enter alone or with friends and enjoy hours of imaginative play. Quality materials and durable construction make this children’s tent a fun and cozy play space that’s built to last. Express shipping not available. Please allow 2-3 weeks for delivery. 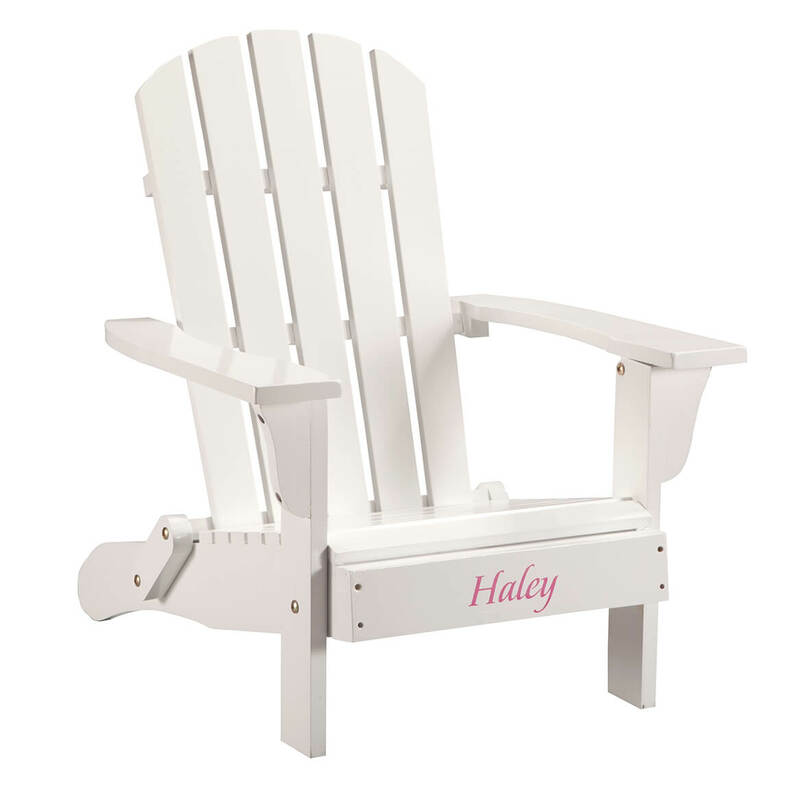 Just like Mom and Dad’s, but designed just for kids … this personalized children’s Adirondack chair will be custom personalized for one lucky boy or girl! Beautifully crafted of solid wood and painted bright white, it’s destined for years of family memories—whether parked by the pool, on the patio, in the playroom, family room or bedroom. We’ll add any name at no extra charge, creating a keepsake gift. Specify color for personalization: pink, blue, red or black. Specify name; limit 1 line, 12 letters/spaces. Back: 12 1/4″ wide x 19″ high. Seat: 12 1/2″ wide x 11 3/4″ deep. Arms: 16 1/2″ long x 3 1/4″ wide. Personalized children’s chair sits approx. 7″ from ground and folds down for compact storage. Assembly required. Designed for indoor/protected outdoor use.